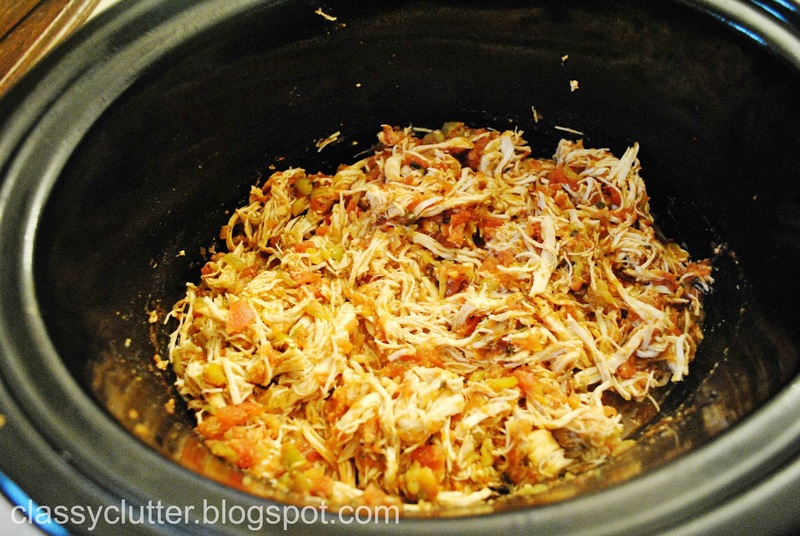 Today I’m going to share a super easy, amazingly delicious crock pot recipe with you. 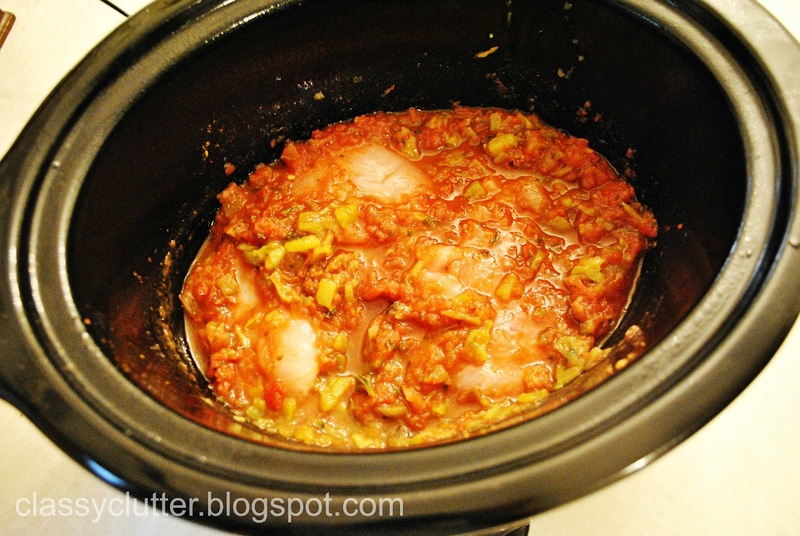 I use my Crock Pot pretty often in the cooler months. It’s one of my favorite ways to cook because it is so simple and clean up is a breeze! These wraps/burros/burritos/whatever you wanna call them, are no exception! 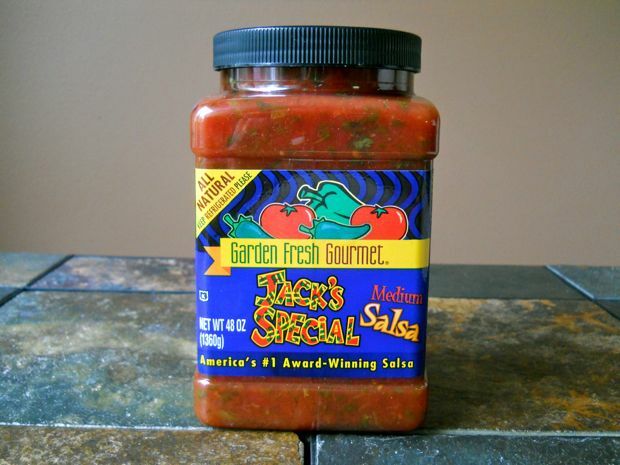 This is Jack’s Salsa. It’s not spicy at all and it is absolutely delicious!! We use it exclusively in our house. They carry it at our local grocery store, Wegman’s and I’ve heard they have it at Costco. It’s next to the shredded cheese in our store. Look for it in your grocery store, you won’t be sorry! First, I sprayed my crock pot with cooking oil spray to make the clean up much easier. 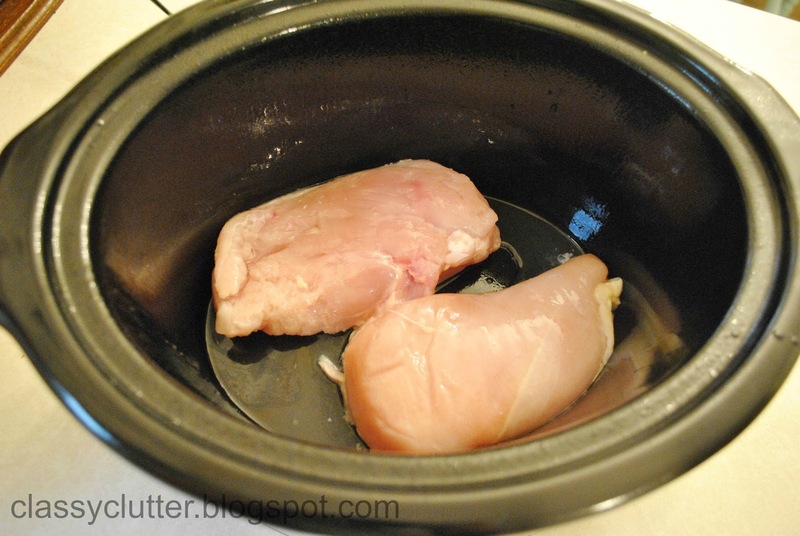 Place thawed chicken breasts in the crock pot. Add the salsa, green chilis, and taco seasoning and mix everything thoroughly. Cook on high for 6 hours. Drain any excess liquid that may have pooled around the bottom of the mixture after it is cooked thoroughly. Then, shred the chicken with a fork. I add another cup of salsa at this point once it is all shredded, this is optional. Then, mix it all up again. Next, I put the crock pot on the “keep warm” setting until dinner time. 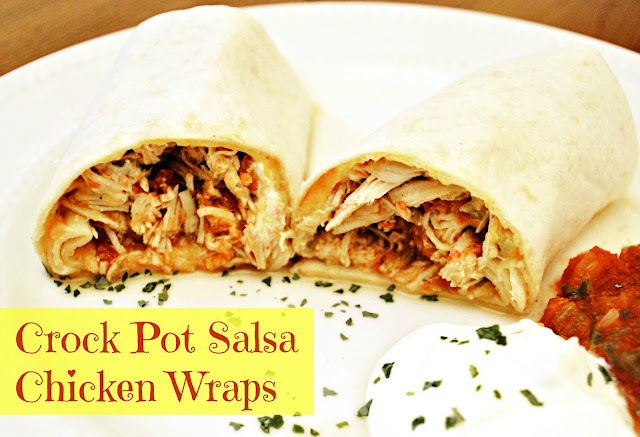 Finally, you can assemble the wraps however you want. I melt a little cheese on the tortilla in the microwave and add sour cream and the shredded chicken mixture. It would also be super yummy to throw this chicken in a salad with some corn, cilantro and some black beans! YUM! I hope you’ll try these! Let me know if you do! Looks yummy! I can’t wait to make it. I make something similar to this. Just a can of rotel tomatoes and a packet of taco seasoning. Add chicken and cook on low for 6 hours. We put ours on top of the round, crunchy tostados. Add some Old El Paso seasoned black beans (the kind that comes in packets), crumbled queso fresco (the white Mexican cheese that comes in a round block), Mexican sour cream, and shredded lettuce. WAY better than regular old tacos!!! Tasty! We’ll have to try this! I’ve made a similar soup, but this sounds yummy.